Any of you guys play this? I'm about halfway through the main campaign, and we are loving it. The gameplay is really smooth and fast, yet it still feels like your decisions matter. Of course, like all GW games, at the end of a day it's still a dice rolling game. But a good one. There are no GM, and the AI does a good enough job. We certainly learned to fear ur-ghouls! About the tiles... 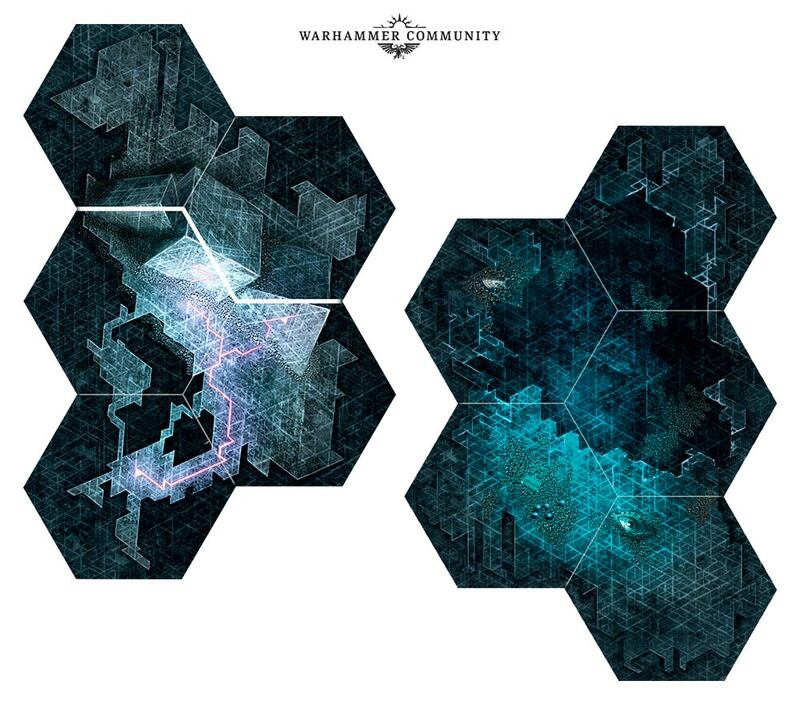 Some wise sage has commented on the tiles for WHQ:Shadow over Hammerhall, but I think the statement applies to Blackstone Fortress as well. Goblin-King wrote: I think the re-release of WHQ has been highly disappointing. Two things REALLY matter for me in this game: Miniatures and tiles. It MAY just be nostalgia speaking, but I really don't think it is... The tiles for the original WHQ has never been surpassed. Each tile was a little painting; a small piece of art. Everything had a clear, well defined look. Everything was integrated into the artwork itself. There was no need for a square overlay. The squares themselves was a part of the art. These new tiles I find ugly and messy. I don't understand why almost all modern tiles go for that lazy square overlay. Sure you don't have to think squares into your design, but what is artistic freedom worth if you are just gonna crap a square layer over the artwork anyway? So the tiles all go for this green "alien tech" look, splattered with occasional flashes of colored light. The worst part is that several of the tiles actually have interesting details, but they are all washed over with that green color, so you won't really notice what's on any given tile unless you really pick it up and study it. Like this one below. After having played the game several times I didn't know this tile was a thing. It also does make the map a bit hard to set up, as you can't recognize the tiles at an instant. Conceptually, I think it is neat to see what is basically an evolution of Space Crusade. But stylistically, I think it suffers from the same issues as all of GW's boxed-set releases of the last 15 years. That is, while extremely detailed miniatures are nice for one or two uber-characters on a tabletop war game, I don't personally care for that level of detail in a boxed dungeon crawl. I have a lot of nostalgia for old hand-sculpted designs, where a high-tabletop paint job is much more achievable and much less time consuming than the digitally-sculpted minis of the current era. arch8ngel wrote: Conceptually, I think it is neat to see what is basically an evolution of Space Crusade. Besides the setting this is much more like HeroQuest in my opinion. It's much more a reskin of modern Warhammer Quest, than a modern Space Crusade. Space Crusade had a very unique flavor where each player controlled a whole squad among other unique traits. I'm a bit surprised over your "resentment" to modern era sculpts. Personally I think the old handsculpted models were a crap roll, depending on the individual sculptor. They could look absolutely amazing brimming with soul and personality. Or they could look like literal garbage. But the same can be said of modern sculpts I suppose, though it's very rare these days to see an outright bad sculpt from GW. GW's style has definitely changed a lot over time. Orc(k)s went from being green humanoids in fairly regular armor to hulking monsters in crude junk metal armor. Everything is a bit more "extreme" these days. I will say that 1st and 2nd edition Space Hulk had better "suited" models for the game, since facing is a thing. It can be really hard to see which way the dynamic poses of the modern sculpts are supposed to face. With regards to the sculpts -- maybe I haven't spent enough time looking at the Blackstone Fortress models to give them a fair shake... but the Silver Tower models were a big disappointment to me. GW has had a trend of having their models look way "overdone". They just heap more and more stuff on them, rather than having an eye for cleaner designs. They aren't outright bad sculpts, by any means. They just tend toward being "cluttered", in my opinion. That was the nice thing about the good quality hand-sculpts -- there is a functional limit of what you can squeeze onto the model without damaging the other work, or making it too difficult to cast. It is just a fundamentally different design concept -- think of it as American Craftsman architecture versus Rococo. I strongly prefer the former. EDIT: and the Space Crusade comment was more along the lines of just having a space dungeon crawler, versus the head-to-head tactical combat of Space Hulk, rather than the squad-vs-individual mechanics of HQ vs SC. That being said, the models are rather lovely, and I'd say any HeroQuest fan will find a lot to like about them -- plus there's the fact that the collection of "monsters" has a very HeroQuest feel in that you get different monster types that nevertheless feel like a somewhat coherent, if eclectic, evil force. 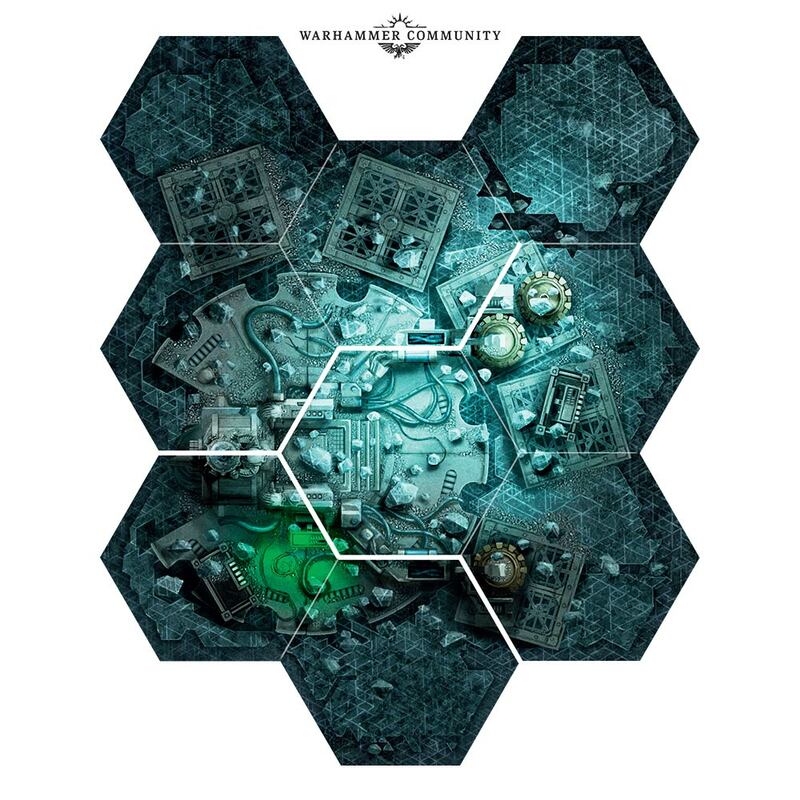 arch8ngel wrote: EDIT: and the Space Crusade comment was more along the lines of just having a space dungeon crawler, versus the head-to-head tactical combat of Space Hulk, rather than the squad-vs-individual mechanics of HQ vs SC. 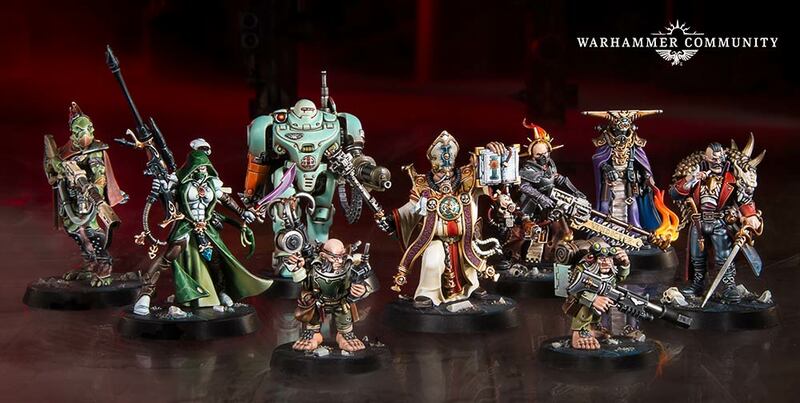 I do agree that GW has a tendency to over-designing their models these days. Mortarion being a prime example. I still think it's a cool model, but it's VERY busy. It has an iconic profile, but on the battlefield he is just a blob. But I think it's a give and take. Mechanical models or models in uniform armor generally looked way worse in the old days. Metal marines especially require a stellar paintjob to look good in my opinion. 40k has always suffered more than fantasy in that regard. But let's not forget that a lot of new GW models are actually pretty clean. The plastic witch elves don't have an excess of clutter. GW is not the worst. Kromlech had a double GW sized model, a Meganob in nearly double Meganob size, and not a single place for a free hand. I was angry. GW is bad because they deliver 20 or 30 models at once, and then every so small detail counts. I remember painting a 30 orc mob. Goblin-King! I was really considering purchasing this game... been on the fence about it for a little while. Your post helped me make up my mind. I purchased it and it's on the way. Can't wait. I've always liked the Warhammer 40K games... but as I got older and life got more complicated it got harder and harder to play full scale table top war games. If this is like a modernized Warhammer Quest style dungeon crawl but set in the grim dark 40k future, it should be fun. I'll recommend you get 3 other players for this. Although it says 1-5 players, it doesn't really scale in any way. In a 2-playewr game, both players will just control 2 heroes instead of just 1. Thanks for the advice. Yeah, I'm not expecting it to be or replace HeroQuest or Classic Warhammer Quest. Just hoping that it's a good game in it's own right.